When it comes to marketing and advertising for your small business, it seems as though the majority of small business owners in the United States are left in the dark about best digital marketing and advertising practices. According to recent statistics, 97% of consumers go online to look for local products, however only 37% of small businesses have an online presence. 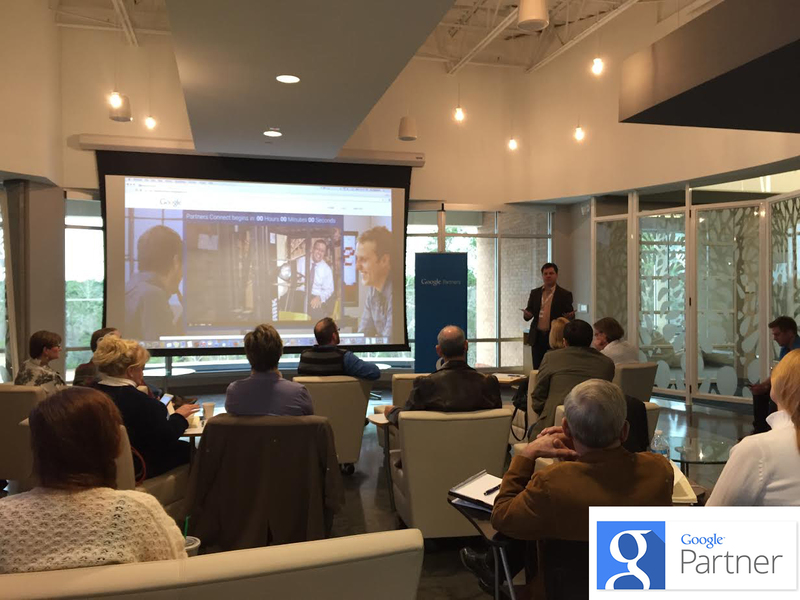 At the live stream Google Partners Connect event held by SayItSocial inside of its headquarters in TekMountain, the event goal was to find out why and how to change it. Local entrepreneurs and connections joined us for a brief networking session (featuring a best selfie contest) before Google Partner Experts Todd Rowe and Fred Vallaeys took the screen where they informed the audience the best things to keep in mind with digital marketing and advertising. 3. 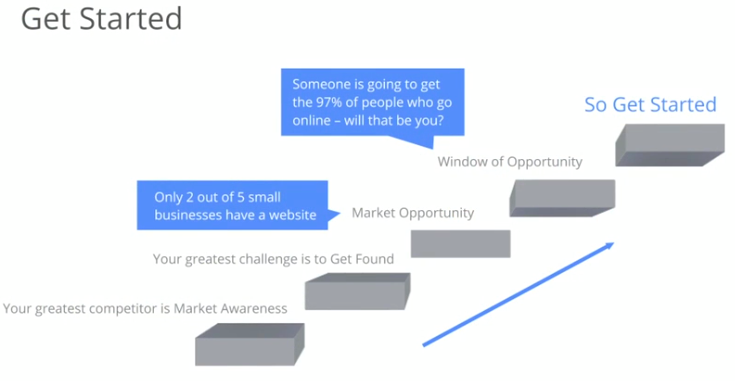 Get Started: Your greatest competitor is market awareness, your greatest challenge is getting found, take advantage of your market opportunity and get out there! 1. AdWords– When it comes to choosing AdWords, put yourself in your customers shoes. Choose keywords that reflect the phrases consumers will search when they need your product or service. You can also use AdWord Extensions to get noticed that tell consumers more about your business without using up your 95 characters of space. There are currently 11 extensions available to choose from. 2. Claim your Business– If you haven’t already, go through the verification process of claiming your business through a quick Google search. After you claim your business, help people make a personal connection with your brand through videos, interviews, etc. and make it easy to get in touch with by posting your phone number, driving directions, and address. Remember that the #1 thing that people voice search is directions. 3. Start a conversation– Social media is a great place to get involved in conversation about your brand or start it! 27% of time online is spent on social media in the US. It is important to be interesting and be consistent with your posts. 4. Mobile– 45% of Americans would rather give up vacations than their smartphones. Mobile browsing will soon replace desktop browsing so your website needs to be optimized! When developing a website, design for mobile first and use a responsive design so that viewing is consistent across devices. Mobile Ads grow companies, so keep that in mind when creating an advertising budget. 5. Track everything– Track all conversions- estimated conversions help account for all conversions, even when the user goes between mobile, tablet, and desktop, or when they purchase offline. There is new data that accounts for in-store purchases as well. By tracking campaigns through Google Analytics, you are able to see if the money used for digital marketing efforts is paying off! Following the live stream, CEO of SayItSocial Ty Downing led the local group in a business-specific discussion in which owners were able to ask questions for answers, as well provide individual experiences with digital marketing and advertising efforts with the crowd. If you missed the live stream or just want to watch it again, don’t worry- you can watch the event again below, or by clicking on this link. As a certified Google Partner, we at SayItSocial are proud to excel through the integration of Google products and best practices, provide our clients with the best and most innovative products and ideas, as well as keep our customers happy. Need help creating an AdWords campaign of your own? Let us help you out.